Bumble Bee Jasper was just discovered a few years ago and it is already almost mined out. I wrapped this heart with Sterling silver wire and it hangs from a sterling chain. The heart including the bail , 2.5 x 1.5". The chain is 18" of sterling silver and it will have an extender on it as well, It is beautiful on either side! 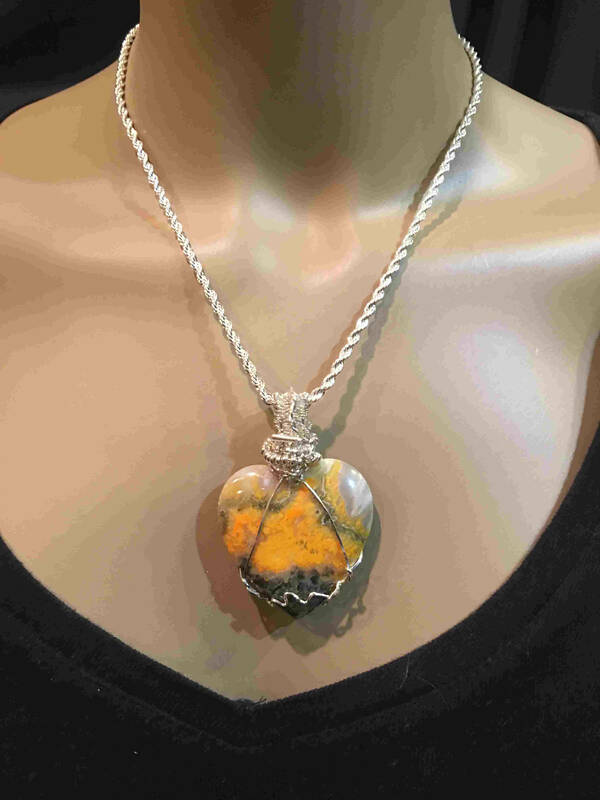 Bumble Bee Jasper activates the Sacral and Solar Plexus chakras, enabling you to accept change, find new opportunities, increase your self-esteem and make decisions without relying on emotions. It helps on to have a real zest for life, to have a positive outlook and to have confidence in one's actions. It helps to increase one's physical vitality and the sulphur content supports the physical body fight infections. 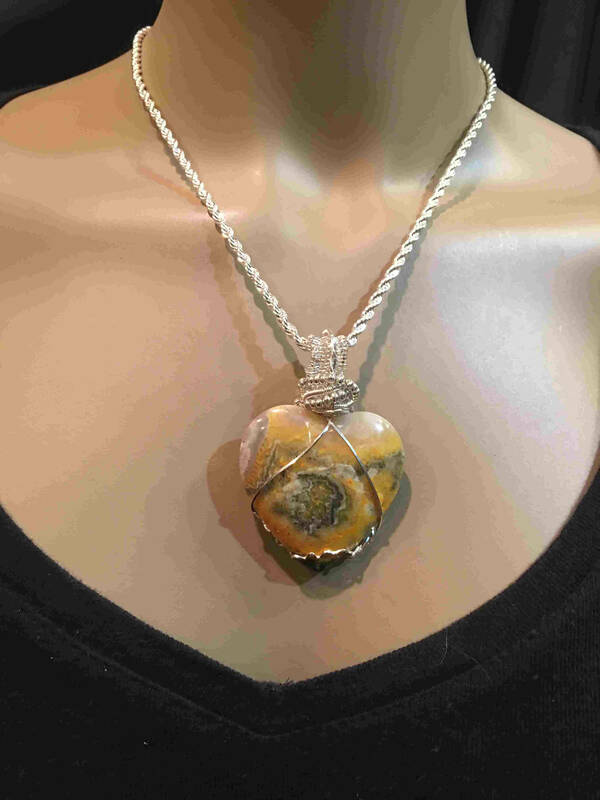 Bumble Bee Jasper can help with abdominal issues, allergies, the nervous system, and heart and circulatory system disorders. It helps to remove energy blocks within the sacral and solar plexus chakras bringing forth one's creative talents and supporting one so that one can persevere with that which one desires. It helps one manifest that which is one's highest and best good. 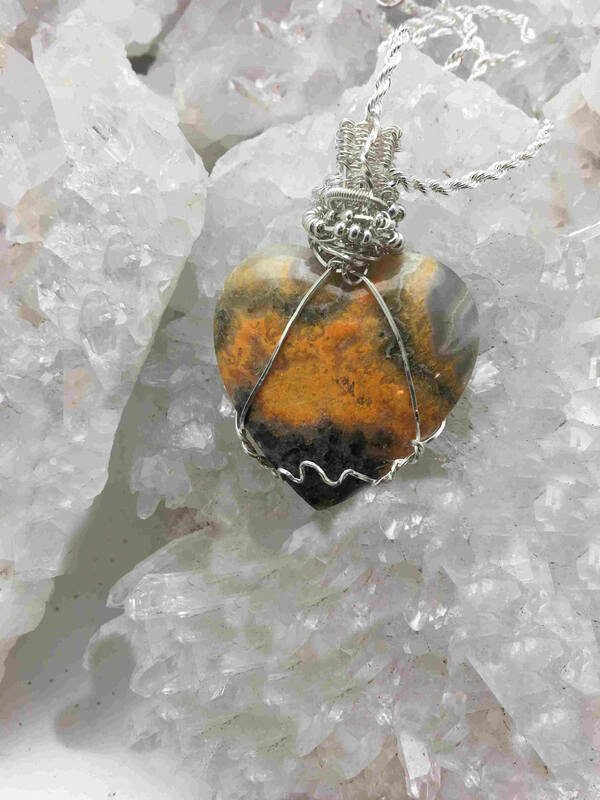 The energy of this jasper stimulates ones. mental body so that one has mental clarity, enhanced awareness and increased concentration. It gives one confidence to ace on one's inner prompts. 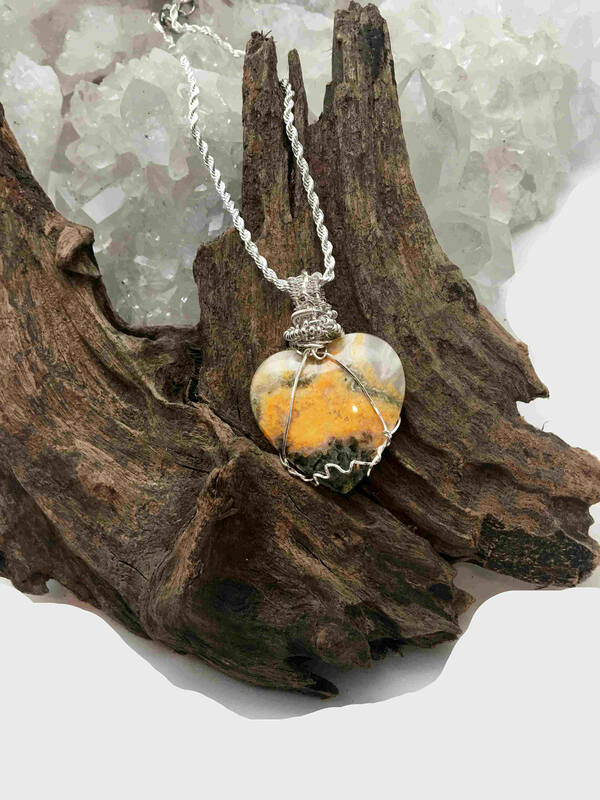 Bumblebee jasper brings a joyfulness to one's being, giving one a "buzz."